Rockwellian portraits of Americana commonly depict summertime scenes of kids and crusty characters alike sharing a bank and a bucket of worms in hopes that a catfish might bite. Thank goodness all these years later, a visit to the local river or pond often reveals this same pastoral setting. Meanwhile, on countless water bodies across the country, hot fishing for great big channel cats awaits any interested angler. 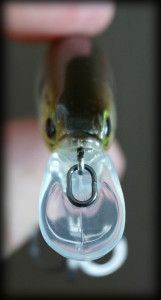 Their abundance and potential size are just two among many reasons for the popularity of these barbel-faced fish. One other beautiful basis for a summertime catfish adventure: there are as many ways to catch them as your imagination can concoct. Not only do any of the 7-million anglers stand a fair chance of taking home a catfish dinner, they’re just as likely to land a whale today as during the days of Huck Finn. Brad Durick, popular catfish guide on the famed Red River of the North, might not wear a straw hat nor clench a corncob pipe, but he’s as comfortable contending with current and catfish as Twain’s historic hero, Huck Finn. The channel cats Durick hunts daily, from May through October, are some of the biggest on the planet. On this crazy good catfish river, current runs bizarrely south to north—rather than dropping toward the Gulf of Mexico—and drains into Lake Winnipeg following a 550-mile northbound run. Most years, water flows have stabilized by mid July. Catfish have fully finished spawning and patterns become predictable. While most anglers during this time continue focusing on obvious areas, such as visible wood snags, rockpiles, deep holes or dams, Durick has a whole other world of catfish spots to himself. “Everything I do relates to current,” says the Coast Guard licensed captain. 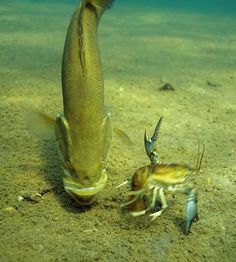 “The best thing catfish anglers can do for themselves is learn to read the water. Every key change in the river bottom is revealed by things happening on the surface. Durick says that while a big gnarly woodpile might look great, if it lies out of the main flow, anglers will struggle to catch catfish there. Conversely, even a small bush or a subtle hole can gather multiple whopper catfish—if it’s associated with substantial current. One of Durick’s better midsummer spots is a 4 to 10 foot trench cut into the outside of a river bend. His best troughs are often the shallowest ones. Associated overlooked summer spots, Durick says, are small holes near a shoreline break, especially those with current seams running along their edges. In higher water years, he’s also had great fishing below dams all through summer. 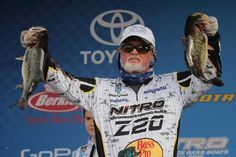 In each instance, Durick baits with Carolina style rigs—a 2- to 5-ounce No-Roll sinker above a ball bearing swivel and a 10-inch leader of 30-pound test mono snelled to a 4/0 to 8/0 circle hook, depending on bait size and how catfish are striking. He prefers circle hooks by Rippin Lips and Bottom Dwellers Tackle. 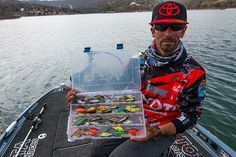 In heavier current, Durick says big cats routinely grab a bait and run aggressively, necessitating wider gap (larger size) hooks and shorter snells. “Most of the time, I use suckers cut into small ‘steaks’,” offers Durick. “They’re abundant, inexpensive and catfish gobble ‘em up.” When available, Durick also uses wild goldeye, fresh from the river. In wetter years, particularly during August and September, leopard frogs emerge en masse. The late summer frog bite can be exceptional, but prevailing dry weather sometimes eliminates this amphibious pattern. 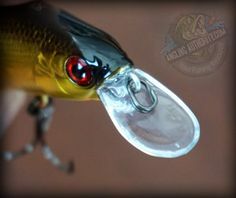 In most spots, Durick employs a special 20-pound Cat River Anchor, which he says holds in any type of bottom. He very rarely sits in a single spot for more than 15 minutes, unless he’s fishing after a front, or after a drop in water temperature, which slows catfish activity. Still, most days produce electrifying action, with channel catfish in sizes you just can’t find anywhere else. If you’re in need of a serious string stretching, you might want to head to the Minnesota-North Dakota border right now, or for a quick fix, beeline straight for your neighborhood catfish river. Fun and big kitties await. 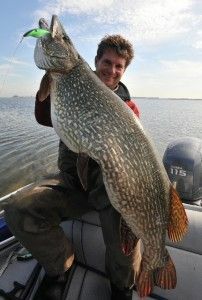 Ted Pilgrim is a veteran outdoor writer, ex-fishing guide, and trained biologist who hails from Northcentral Minnesota. First published in national fishing periodicals at age 16, Pilgrim has for over two decades contributed to numerous national and regional publications on a wide range of angling related topics- from bass, walleye and catfish to ice-fishing, conservation and fly-fishing for monster carp.